A 16' x 32' custom Odyssey swimming pool with 11' roman steps. Rosebel patio stone. 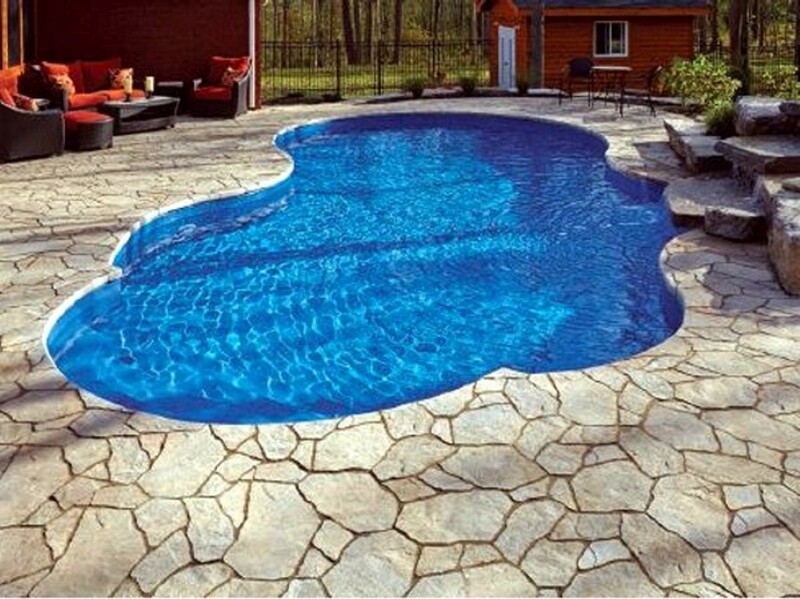 A 16′ x 32′ custom Odyssey swimming pool with 11′ roman steps. Rosebel patio stone.